1. 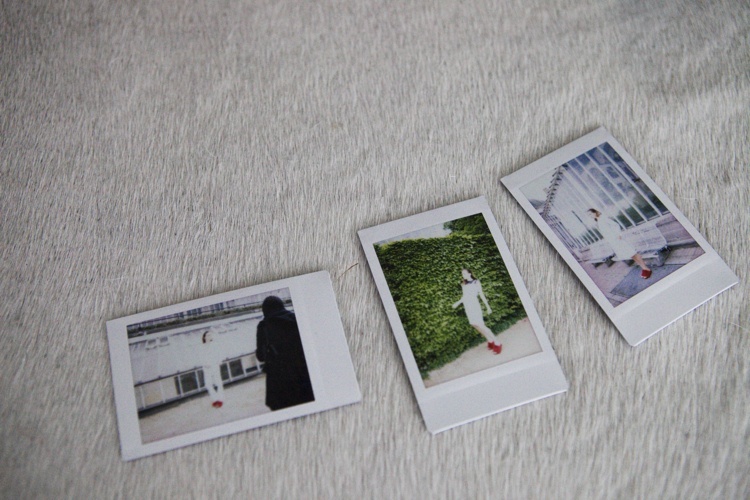 Smudgy polaroids from the shoot we did for my new collection a couple of Sundays ago. Decent versions of all that and a few more looks are coming up soon. 2. Still trying to justify that pair of Sunday Somewhere sunglasses. Double lens awesomeness is pretty much the highlight of the day for the most part, but somehow I haven't really been getting much wear out of these lately. Determined to change things around a little. 4. Sliced up vintage Levi's, Stella McCartney and COS kind of combination. 5. Chloé slides and all of your favourite basics. So perfect for sitting by the pool and for water gazing. Weirdly they got fish there too. 6. HM Conscious Exclussive - the two things I was aiming at, which coincidentally were still available 20 minutes after the opening. Other than that there was a massacre at the Brussels flagship store that Thursday. Beautiful photos you have here! All very beautiful shots. I am especially enamored with the last.